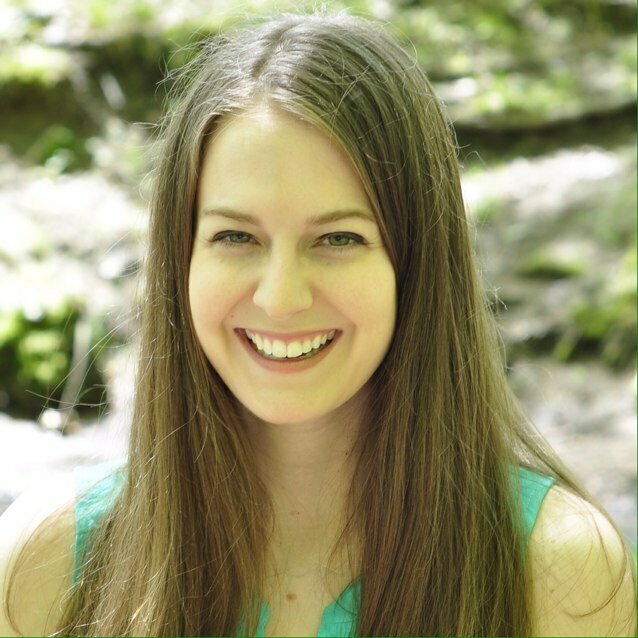 Younger siblings can be a pain sometimes, but when they grow up, they might surprise you with a sweet home makeover! 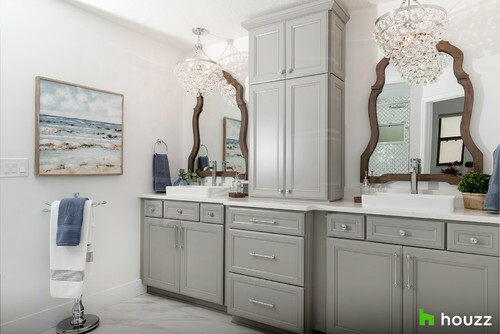 Upton worked with designer Andrea Fava of Motivo Home to redo the guest bathroom, master bedroom/bathroom and office of Williams’ home in Melbourne, Florida. Their first task: tackling the downstairs bathroom, which felt outdated and had a non-functional window blocked by an outdoor shed. 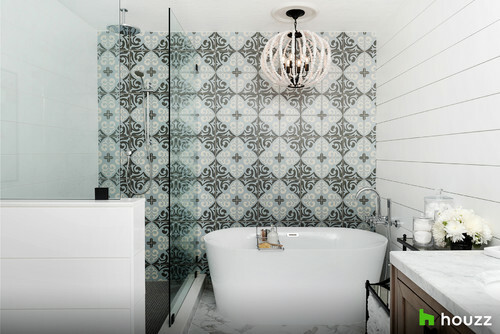 For the update, they covered the window with a tile wall that now serves as a beautiful backdrop for a freestanding soaking tub. They also put in new fixtures, a marble-topped vanity and a shiplap accent wall. With some smart organizational features, including a couple of storage benches that doubled as a reading nook, the design feels more thoughtful now. 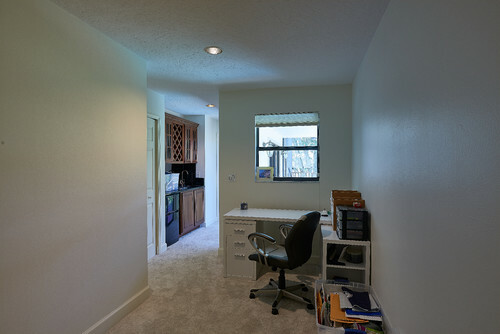 One of the oddest things about the master suite was the wet bar in the hallway to the bedroom. Fava had the idea of knocking it out and bringing the bathroom out a few extra feet. The bedroom got a major upgrade with marble accents, elegant wood-framed mirrors and glitzy chandeliers over the vanity. “These are the touches I always wished I had but would never know how to implement them,” Williams gushed when she saw the finished space. 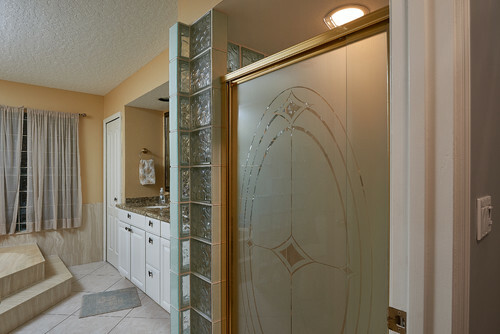 In the master bedroom, the stunning upgrades continued. Upton wanted to use her sister’s favorite color to create a retreat. 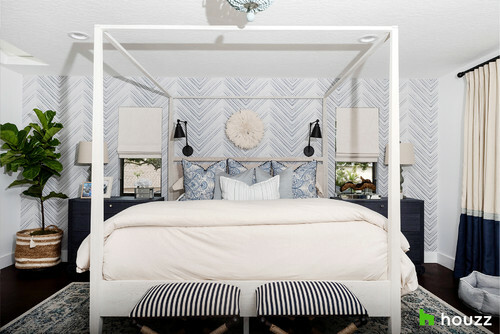 “Adding little pops of darker blues and a little depth here and there would be kind of the perfect mixture,” she suggested at the beginning of the project. 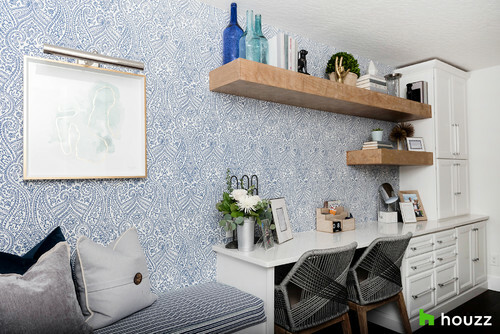 She and Fava chose a blue and white wallpaper to create a fun yet calming accent wall. They also added some reading lights and a chaise lounge to the space, which is perfect for Williams, who loves to read. “That was kind of my inspiration,” Upton replied. Love the look? You can learn more about it here. And see more sibling home makeovers in episodes featuring Neil Patrick Harris, Mario Lopez and Kristen Bell.